New cost-effective, fully reversible, easy-clean windows for multi-storey buildings. Staywight's suppliers have developed a new concept in tilting reversible windows for the rapidly expanding multi-storey residential and commercial markets. The unique design allows the window to reverse 180 degrees outside the building envelope, giving occupants full access to the outer pane for easy cleaning and maintenance. It’s a highly effective system that represents great value for money for both new-build and replacement projects. Right are four stages showing how the action of Staywight's reversible window system brings fresh air and light into your home and makes it so easy to clean, whatever your home style. Reversible windows overcome the problem of keeping windows above ground-floor level clean and tidy by allowing safe and simple access to the external glass pane from within the building. What’s more, the unique slide-and-tilt action means that the sash never protrudes inside the building, leaving window cills free for use all-year round! Additional safety features on the reversible window include internal glazing, which again avoids the need for external access should the glass need replacing in the future. It also means that glass on ground floor levels cannot be removed by burglars, therefore providing homeowners and residents with added peace of mind. Staywight's reversible window incorporates child-safety catches which restrict the aperture so that children cannot fall through, while still allowing high levels of ventilation. Fully bevelled frames and sashes on all the profiles help developers add ‘kerb appeal’ to their properties. The ultimate versatile window profile, the Staywight's 70mm window profile system can be used to fabricate a huge range of window styles. It is ideal for new-build or replacement projects and a 70mm front-to-back dimension permits the seamless replacement of old timber frames. This multi-purpose profile system can also be used to fabricate a wide range of doors and frames, in an extended range of colours. 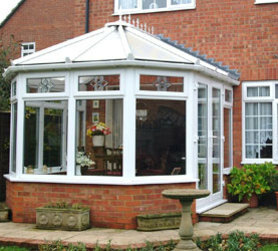 WHY CHOOSE OUR 70MM PVC WINDOWS? 70mm window profiles can be used to create precisely the style you require, from casement and tilt-and-turn to pivot and reversible windows, as well as entrance door and French door frames. These can be enhanced with a variety of decorative options, including Scotia and ovolo beads, mock horn and ovolo sashes, arched tops and Georgian bars. For the ultimate tailored solution, a selection of colours and woodgrain finishes is available. Classic slim window profiles offering excellent value for every project. This classic window profile system with its slim front-to-back dimension is ideally suited to the new-build sector. When combined with the cavity closer, it makes for the perfect, quick and easy-to-install solution for new homes and commercial developments. 60mm profiles can also be used to fabricate a wide range of door panels and frames. 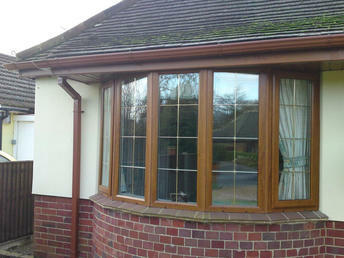 WHY CHOOSE OUR 60MM PVC WINDOWS? Whether you want casement or tilt-and-turn windows, entrance doors or French door frames, 60mm profiles offer the versatility to meet your needs. Your 60mm windows can be enhanced with a variety of decorative options, including Scotia and ovolo beads, mock horn and ovolo sashes, arched tops and Georgian bars. A choice of colours and wood grain finishes is also available. The 60mm profile system offers improved thermal efficiency too, as well as effective drainage, thanks to its chambered profile design.